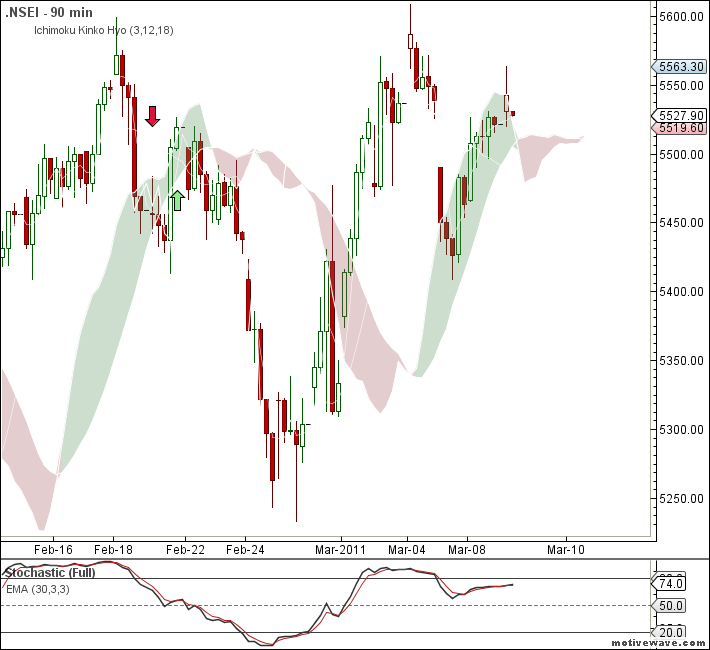 Nifty still in buy mode on 90 min charts with trailing support coming near to the 5490-5500. 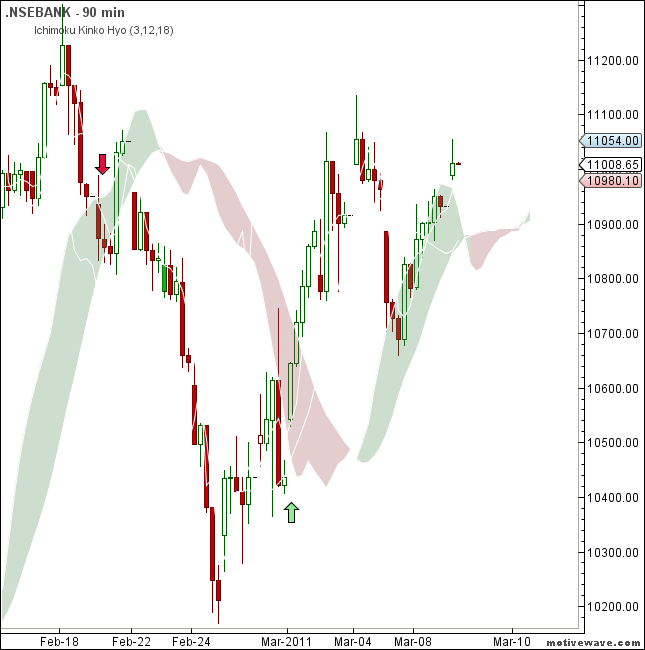 Similarly Bank Nifty too in buy mode with trailing support coming near to 10800 zone. Reverse the trade if the support breaks.